Hey guys, its been a long time. I want to start my own vlog. I dont have a lot of knowledge in the camera department. I want to upload at the very highest quality. I'm planning to use just my iPhone 6s. Can someone help give me some pointers? Such as how to upload and keep the high quality? Most 'reactors/vloggers' use either the typical sony handycam or whatever it's called for their stuff, while others use a typical camera to record their vlogging and etc. Maybe test the iphone out in a test video and then if you have a camera (later on they use the higher priced cameras, but some still use the under 100-200 cameras and it still looks great) try that as well. But I hardly watch any of those videos anymore, but I do believe they also post videos of their setups to help others out. The camera in your iPhone is a hell of a lot better than a lot of cameras, including any webcam you could be looking at. While the webcam gives you the freedom of recording directly to your computer--or streaming directly from your computer--the iPhone will be much higher quality. I've been meaning to upgrade cameras for quite a while too, for the time being I'm just using my HTC M9 for random karaoke/vlogging, etc. But if you wanna get a good source of raw video, the usual SonyCam like APX mentioned works wonders as a starter camera. I'd recommend getting a 4k as far as resolution goes... last time I checked it should be around 500 USD approx. Pear can probably chime in on this as well, since photographic and video camera theory are quite alike. And an external mic and a tripod/mount, like Nomake mentioned, wouldn't hurt in the long run either even if it's just a phone. Going back to the raw source bit. I have no clue how to use video editing software like Premiere, After Effects, Vegas, or even VirtualDub. All my experience is with Movie Maker. That said, even for simple vlogging, post production goes a long way. A bit on a tangent but... people always tell me: Get a condenser microphone, and sound-isolate your walls, and buy a super high-end audio interface! etc etc ...none of that junk woks except to provide a good source of raw audio. Professional sound engineers like Codenotti can make zombies sound like a choir of angels. Equipment settings and post-production are what makes a song sound good. The same logic applies to videos, I think. It's all about post-production. I'd recommend getting familiar with a good video editing program like Premiere/After Effects, or Vegas... although if you're feeling super lazy like me; a classy editing job through Movie Maker will do in a pinch, lol. I'd recommend getting a 4k as far as resolution goes... last time I checked it should be around 500 USD approx. Firstly, the 6s shoots in 4K, so there's no need to spend gobs of cash. Secondly, if you're going to be vlogging on YouTube, it might actually be better to shoot in 1080p@60 rather than 4K@30. The heck do you actually need 4K for? Not to mention if you wanna throw effects in, starting with a higher framerate helps. As for software, VirtualDub is not how you should do editing. It's not that you can't, it's just that it wasn't designed for that. In addition, the current version of movie maker is pretty much garbage. It was always a sub-par program, but for a little while it had some nice features. Now it's back to being cumbersome in its over-simplification. Not recommended. Go with something decent like Premiere or Vegas if you're planning on doing post-production. iOS hasn't had any camera issues that are fixed by software updates, so no worries there! Can someone help give me some pointers? Learning how to frame shots and improving elements beyond what the technical equipment can offer you is the most important. You can make your content on a potato, but if it's well produced, you get views. The effort would certainly make it worth my view. The best vloggers in my opinion are the ones who are extremely knowledge and well versed in their subject but also know the importance of artistic composition. It makes for a pleasant viewing experience and keeps people wanting more. That's probably the most important advice. It really depends on the content, there is no defined formula. If it's you sitting in a room talking for 7 minutes, it doesn't matter. If you're doing macros, close ups, tons of B-rolls; 4k@30 is your bet. The resolution helps you drive home the idea of detail, after all, that's what these close shots are for. If the content involves action and movement of the subject; without a doubt, you want 1080@60. The smooth motion that 60fps will offer is the essence of your content, resolution plays no big part if the content is motion. Agreed with the pro software. As for the audio, Blue makes great starter mics. You want a pop a filter to reduce noises generated by words with harsh breath use, such as 'poor'. Noise cancelling foam is a good idea, but not totally necessary. A quick read will teach you to place your mic in an area with low reverb, and if worse comes to worse, you can filter out reverb with an editing program. More advanced, you're looking at XLR mics connected to an interface (such as a scarlett), mounted on a shock mount, mounted on a boom. But really, tech and gear is 2nd fiddle to content and production. Would you guys mind looking at some videos I am uploading. I feel like the quality is lacking in comparison to other peoples videos shot on an iPhone. Here is my page. Im trying to fine tune things before I really start filming what i want to film. Thanks for the help guys. I know its been a long time and Ill have a lot of updates for everyone. EDIT: I figure i should critique before my suggestions. The video is quite shakey. You'd benefit from a gimbal as it'll make your pans and sweeps smooth as butter. The audio is not good either, but its as expected from the iphone. If you're just trying to vlog, honestly, it's fine. If you're trying to get up to the next level, here's some 'cheap' suggestions. If you're willing to plunk down the money, A cheap handheld gimbal will turn you into a superstar. As to what it does, it's something like this. The same technology used in TV guided missiles, literally in the palm of your hand! For on scene audio, A handheld recoder from zoom will do the trick. I have experience with the H5. It's a neat recorder that also accepts XLR and TRS mics. If you load a mic onto it with a windsock, you can get some pretty nice results. I believe this video was done mostly with a DSLR and a H5 and a battery powered rode mic in a windsock attached to it. EDIT 2: also, you should join us at AX again. Borrow a gimbal, a DSLR, and a SonyCam. Shoot everything at 1080p@60fps; then compare each raw video with your iPhone's footage. You won't know what you're looking for until you do a concrete comparison with video shot on other devices. I thought it went without saying, but yeah, if you're gonna use a 6S then put it on a stand or get a steadycam/gimbal of some sort. Don't try to hold it in your hand. The 6+/6S+ have optical image stabilization which helps a ton (SEE: https://www.youtube.com/watch?v=8RjoKiCddQo), but if I were going to be using it as a self-cam constantly I'd want a stand of some sort. Im already looking at getting a Gimbal or something very close to it. Ive been watching videos on staging things properly. I already bought a mic since I mac those videos. The question I am wondering, is why does the quality from my phone look worse than other peoples videos uploaded from an iPhone? What am I doing wrong. I did record at 1080p@60fps. Also would you guys mind linking the cameras you keep referring to? Maybe I need to change the idea that I should do this with an iPhone. Maybe I should get a DSLR. How were you doing the upload? The YouTube app may be restricting your bitrate if you did it from that while not on wifi. Another reason why jail breaking is awesome--you can fool apps into thinking you're on wifi and bypass those restrictions. There's nothing wrong with using your phone to record. Worst case, save the video to your computer and upload that way. Woah, this topic's actually been quite helpful to me as well. I shot a video at 60fps... what a difference frame rate makes!! @ Ale~san: What video editing program are you using? I had to change the dumb Movie Maker settings to match the bitrate and frame rate of the raw video, since Movie Maker automatically plops everything at 29fps... XD I'm in the process of downloading obtaining Vegas; hopefully that'll give me more freedom to play around with the settings, plus cool effects as well. Your video came up as really choppy. It was weird. And I am not using any editing programs. Im taking the footage from my iphones folder and uploading the video to youtube from my computer. Maybe it has to do something with configuring YouTube's settings ?? His video played perfectly fine on my end. If it played choppy on your computer, perhaps your computer is a potato? What browser are you using? What are your computer's specs? Viewed it on two computers at 1080p on Chrome. On my work desktop, it was choppy and played weird. On my laptop, not as much. Could be a variety of things. The autofocus and ISO setting was a little distracting, but that's to be expected. Pop open the resource monitor while playing the video. 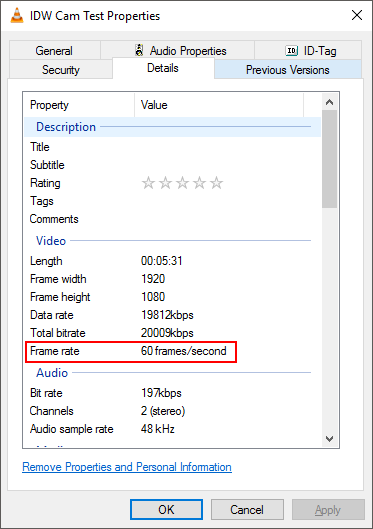 His video is 1080p at 60fps, which is a pretty high bitrate. So you could be maxing out something on your box. Again, potato. Funny enough, your iPhone should play it perfectly. Haha, you were right. Somehow, it maxes out the i5-4570. Looks like all of the Bromium crap on my workstation freaks out with YouTube. I can see there's some parts in the video that may come up as a bit skippy, particularly towards the beginning, but I think that has to do more with my phone's RAM... maybe cause it's the 1st time filming at 60fps me thinks? Also the artistic merit of the video isn't optimal, there's lots of shakiness; that's where Nomake's iPhone excels with the Image Stabilization feature, since the HTC doesn't have anything similar... but I think a gimbal would solve that. That's pretty weird that the videos aren't showing up as 1080p60 on his YouTube account... the YouTube processing to get them to 1080p60 shouldn't take more than 5 minutes after initially uploading the videos. How do you check a video-file's properties/details on Macs? Anyone's got screenshots? Cause if the file itself doesn't have 60fps on its properties; that's the reason YT isn't displaying them at 1080p@60fps. Alex, do you have the original raw file that you uploaded to YouTube? 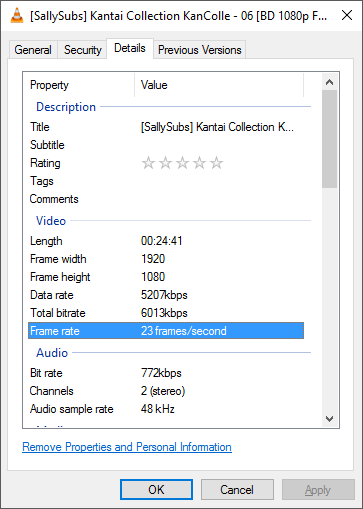 Upload the original file to Mega.nz or Sendspace so we can open the properties/details dialogue in Windows and see if it has 60 frames per second on Windows as well? An i5 shouldn't be maxed out by playing 1080p@60 video, ever. Something's up with your machine, definitely. I'm not sure what it is, but I'd start by grabbing DirectX's web updater and making sure your DirectX extensions are all current. If you've never done it, chances are you're out of date by an entire decade. Neither OEMs nor Microsoft ever update these, so if you haven't done it manually...well, there's your problem. Chrome should update itself automatically, so that shouldn't be the issue. Make sure your graphics driver is up to date as well. If you don't have dedicated graphics the i5 still has an Intel HD chipset, so you'd want to make sure that's updated. before doing any of that, check your power plan settings. if its on balanced, turn it to high performance. There's certain times when the balanced power setting makes your processor quite lazy on certain applications due to speedstep. Its actually quite rare, but certain applications might be taking priority (ie bromine) that might be causing it. Setting it to high performance doesnt disable speedstep entirely, it'll still idle at a lower speed and lower voltage, but it'll just skip every frequency between it and max (turbo) frequency. A similar thing happens to me when I'm playing MMO's on my 5820k. The processor doesnt feel like running over 1.5ghz when playing said mmo, and it does so just fine, that is until you meet another group of players. What happens is there's all of a sudden a huge amount of requests going into the processor about creating x amount of players and placing them into a cell that needs to be created, as well as telling the GPU it needs to create x amount of geometry. So as the instructions trickle slowly into my CPU, it sees it as being fine at 1.5ghz, but when bombarded with an increase in instructions, the CPU ramps itself up to 2.0ghz, thinking it'll be able to handle to handle it, then BOOM! a huge load of instructions hits the 2.0ghz processor, and it bottlenecks until windows tells the processor to go full steam ahead. There's another instance in another game where if you leave vsync on, the processor feels just fine never going over 1.5ghz, but in that instance, it ends up choking the GPU. Speedstep + the default Balanced power settings is great, and the instances that in which is flubs is rare. But none the less, it can happen, and its worth a quick check to see if that's what's causing your stutters before diving into it in detail. Right, yeah go ahead and update your drivers and direct X libraries, somethings up. Though see if ticking it to high performance will help anyway. Here's some raw footage at 60fps without post production I shot today. I can't really tell the difference between the encoding in Movie Maker and the output of the cellphone. While I think the larger optical sensor in a high-end DSLR might cut down the lag and exalt little nuances. I think the money shot's always gonna be in getting that frame rate to look as crisp and smooth as a video game, even for small 5 minute vlogs. Totally unrelated to the topic but... I think I made it a little too obvious; should've gone with C1-RN0 instead. It's like I've been drinking motor oil my entire life, and I've gotten so used to the viscosity that I never knew crystal pure water even existed~!! How can people even subtitle/sell a Blu-ray disc at such archaic frame rates!?!? It's like using a CRT @ 800x600 for watching The Force Awakens. This epiphany is truly making baby Yoda cry.